It’s no secret just how intimidating gyms can be at the beginning of the year as people race to kickstart a new health and fitness journey. That’s why we’re here to give you a few ideas on how to exercise on your own terms — without the hustle and bustle of lines for equipment, complicated machines, crowded weight rooms, and awkward stares. We’ve curated a selection of popular, reputable fitness apps and equipment based on our own testing standards and Amazon, Google Play, and Apple Store ratings and reviews to help you maintain those resolutions until 2020 and beyond. Making a conscious decision to focus on yourself and your health doesn’t have to be stressful, and this starts with how you define success. There’s absolutely nothing wrong with having lofty goals, but results take time. No matter where you are in your fitness journey, it’s worth taking a step back to look at the big picture and, if needed, realign your focus. The truth is, you’re not going to become a marathon runner overnight. The U.S. Department of Health and Human Services (HHS) recommends that those who don’t exercise often start with lower-intensity exercises before working their way up: And if you’re not sure what you might need, you can always contact your physician or a credible fitness expert for help. Regardless of where you are, it’s important to be kind to yourself throughout the process, as practicing self compassion has actually been shown to give you even more motivation. The second edition of the HHS Physical Activity Guidelines for Americans recommends adults practice at least 150 minutes of moderate-intensity exercise and 75 minutes of high-intensity exercise per week in order to see health benefits. However, everyone is different, and exercise cadences will vary per person. A well-rounded workout routine will include a combination of aerobic exercise, balance, and strength training. But it’s important not to overdo it. Not warming up, going too fast, and lifting weights that are too heavy can all lead to injury, even though it may seem like you’re getting more bang for your buck in the moment. Slow down, and stick to a safe, well-paced game plan. Find a studio near you or follow along at home. We picked ClassPass for those of you who can be intimidated by the New Year’s gym rats but also interested in taking a class every now and then. The app will source exercise classes and boutique workout venues near you. You can search by “activity” or “venue” to refine your search, and if you really like a certain studio or workout, you can “favorite” the business to pull it up in your profile queue later. You decide how many workout classes you can handle in a week’s time — but at every tier, exercising is relatively affordable, and they’re all based on a credit structure rather than individual prices per class. Here’s what a typical ClassPass subscription looks like in Charlotte, N.C. The first month is free and offers 33 credits to any classes of your choosing. We will admit, cancelling your subscription with ClassPass can be a bit of a hassle. You can’t just hit “cancel subscription” and move on with your day — you have to chat with a representative and explain why you want to leave. Although the representative tried to get us to stay, after repeating our situation and desire to leave, we were able to cancel both our ClassPass and ClassPass Live subscriptions at once. 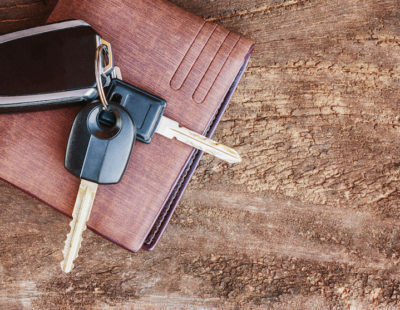 Not only can ClassPass keep you from getting stuck in the rut of repeating the same workout routine or exercising in the same place, it can also save you money. There are two avenues you can take on the same ClassPass app: If you don’t want to commute to a venue or exercise with others, the ClassPass Live subscription lets you stream on-demand or live classes from your home. You can still compete with others by tracking your progress and metrics with the heart rate monitor. If you’re already a ClassPass member, the ClassPass Live subscription is only $10 per month to add— if not, it’s $19 per month. Either way, we think this is a competitive deal for those of you who enjoy working out from home. Plus, you can renew on a monthly basis — so if you want to opt out one month, just cancel before your next billing date. A unique benefit of ClassPass Live over in-person classes is that you can stream or re-watch as many times as you want. Class types range from general strength and cardio sessions, to partner videos from barre, yoga, pilates, to stretching, and meditation practices. 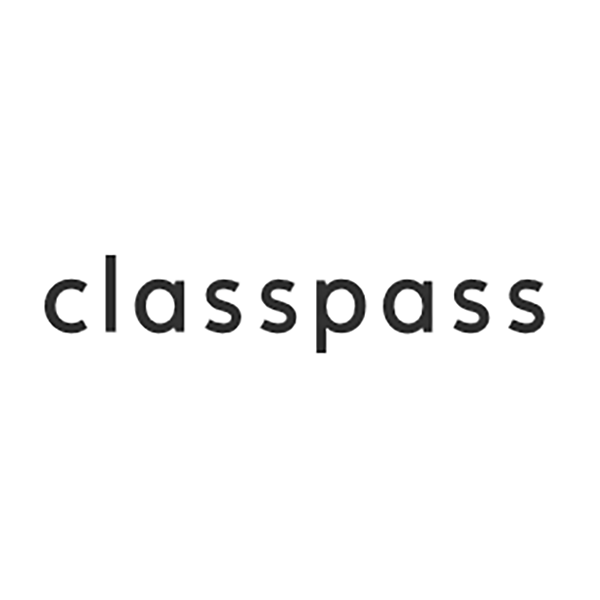 The majority of ClassPass Live’s videos run between 20 and 45 minutes and you can see the difficulty level and get a rundown of everything you need for the class (weights, mat, etc.) before you start. If paying for ClassPass doesn’t appeal to you — the company does have a free audio workout app — Go — that offers guided machine exercises (treadmill, elliptical, stair climber, etc), along with strength and balance exercises like stretching and yoga. The app neatly separates all exercises into beginner, intermediate, and advanced categories — you can also filter searches by teacher and alter your music settings (if you prefer listening to your own tunes.) Because it is free, you won’t find the same variety or level of personalization offered by other paid audio apps like Aaptiv, but the simplicity makes Go digestible and user-friendly. Peloton has been making exercising without the added pressure of a gym environment easy since 2012. 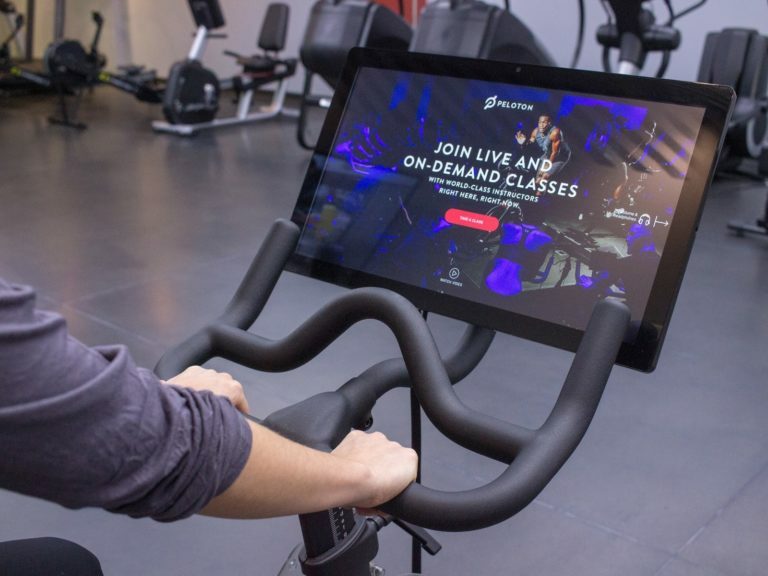 But if you don’t have $2,000 to spend on an exercise bike, Peloton does have a few other options that don’t require purchasing extra equipment — although if you already have a Peloton, you can still stream and watch cycle classes to guide your workout with Peloton Digital. 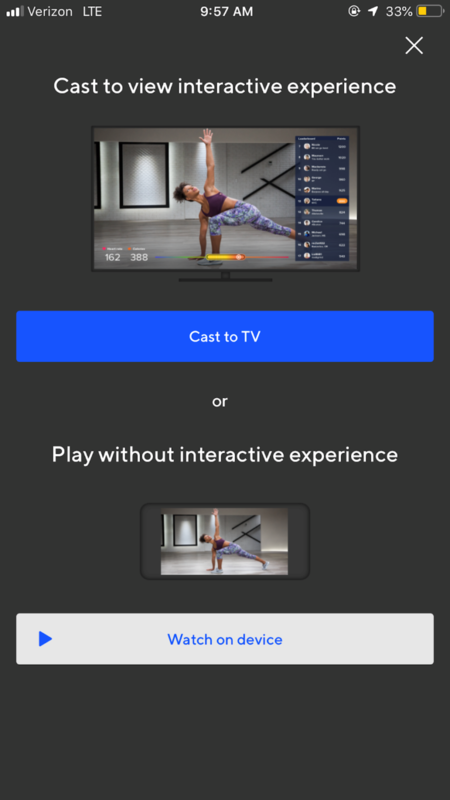 You can choose running, outdoor, strength, yoga, meditation, and “bootcamp” classes to sign up and stream live with others, or you can watch older classes on-demand. Peloton Digital also has a pretty extensive library of meditation, walking, and stretching classes — all of which have important health benefits and can fully round out your workout. 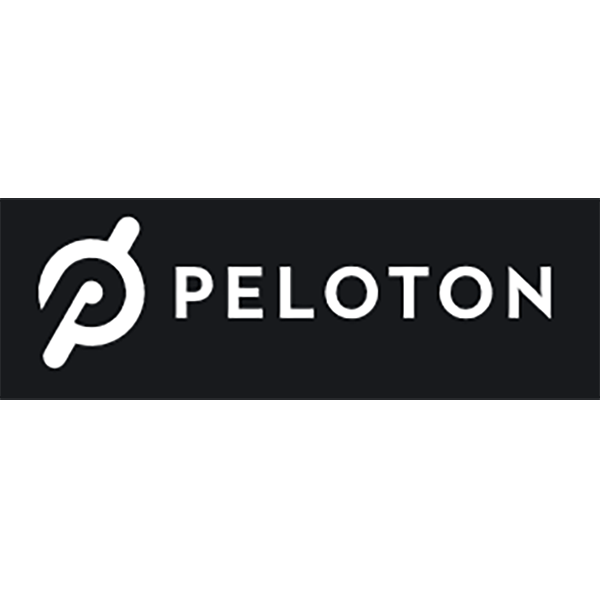 All of the classes are taught by Peloton instructors and recorded for the app, and each previously-aired class is rated by those who have taken it. You’ll see the difficulty level and exactly what you need to bring, too, so you’re never unprepared. We like how Peloton Digital makes it easy to mix and match your workouts. You’ll find short (5-10 minute) strength exercises, as well as lengthier cardio or walking sessions. The choice is yours in deciding where you want to start and what you want to do — plus, there’s no penalty for signing up for a digital class and canceling outside a certain “window,” like some boutique exercise businesses require. Although it doesn’t offer the same interactivity with a heart rate monitor, like ClassPass Live, the Peloton Digital camera pans to several different angles, so you can know how to perform a certain move or exercise. We also like Peloton Digital’s membership flexibility — you’re not locked in to a contract and can cancel one month and resume the next according to your schedule. No class settings, just instruction. Listen to the hottest tunes, access over 2,500 exercise classes, and work with a “personal trainer” to achieve your goals. Aaptiv is the perfect fit for all of you auditory learners out there. 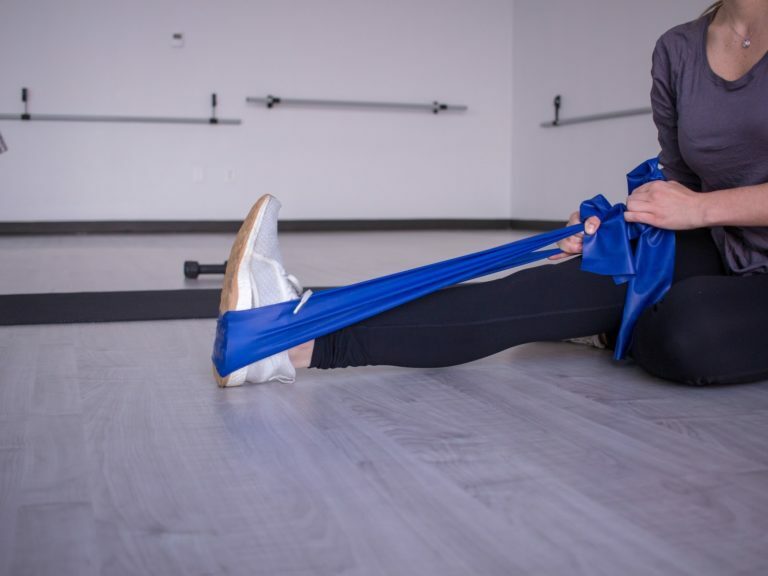 While there aren’t any visuals or live-recorded classes to show you what you need to do, the instructions for the strength and stretching exercises, which might be more difficult to visualize, are typically pretty descriptive. As long as you can keep yourself from dancing to the music and focus, the explanations are relatively clear and easy to follow. Before using Aaptiv, you’re given a questionnaire to fill concerning all of your personal health goals and current status. 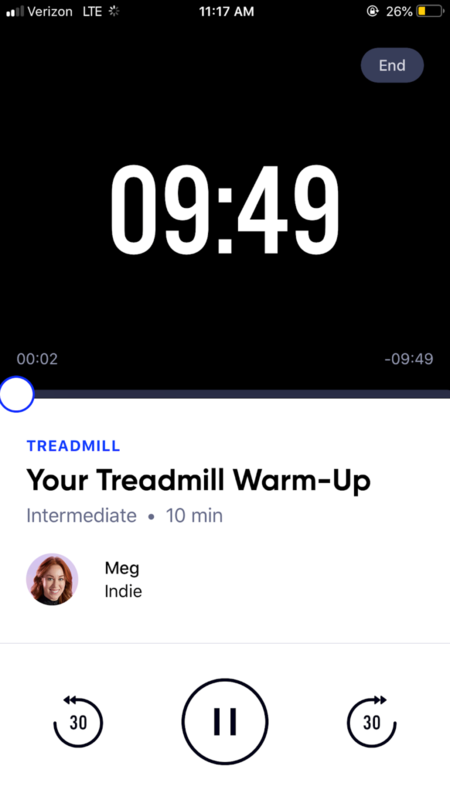 This helps Aaptiv customize the workouts in your feed, but you can always make adjustments to these settings in your profile if you don’t like the pace or intensity. This app also offers a good deal of variety when it comes to guided workouts beyond typical cardio and strength training exercises; these include boxing, rowing, and stair climbing (which we didn’t see on any of the other apps we’re recommending, aside from Go), as well as walking, yoga, and meditation. If you’re feeling hip hop one day and classic rock the next, there’s no need to make any sacrifices on choosing a workout over your music preference. Aaptiv lets your tailor your search by workout, difficulty, duration, trainer, and even music genre. 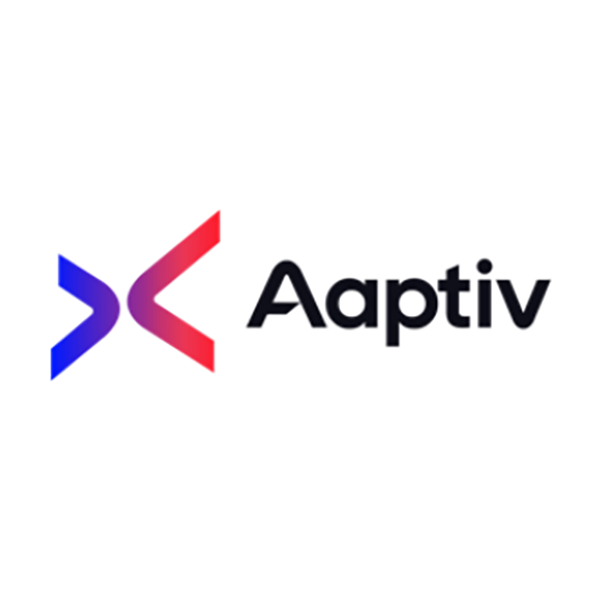 Be sure to make good use of Aaptiv’s 14-day free trial to make sure you’re happy, because after that, Aaptiv’s only other price tier is $100 for the whole year. Granted, the app will eventually pay for itself if you use it enough — and this is about the same price you’ll end up paying for a month’s worth of only a handful of boutique classes in your area. Nike Training Club has all of the essentials — a clean, easy-to-use interface with clear explanations on how to perform each workout. Although it offers less variety than some of our other recommended apps, with over 185 workouts to choose from at no cost, there’s still no need to worry about buyer’s remorse or making sure you get your money’s worth. You can select a workout by time, type — including endurance, mobility, strength, and yoga — and by muscle group, if you want to work on a specific part of your body. Nike Training Club doesn’t pair music with its workouts, but you can sync music from your device on the app. Although we didn’t try it out, Nike’s NikePlus Membership will get you access to expert guidance on both exercising and style. 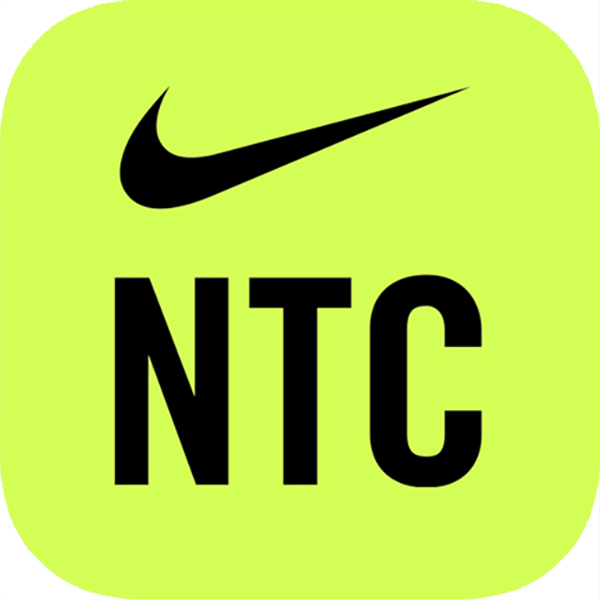 If you like what you see with Nike Training Club — Nike Run Club is also free and designed specifically for running. You can access guided audio workouts to help you power through a run — with several difficulty levels available and three different plans to help you start your running journey or prepare for a race. Target specific muscles in one-off, quick-hitting workouts, or follow along with a trainer for an entire exercise series. Similar to Aaptiv, Freeletics uses an initial survey to gauge where you are in your fitness journey to help build training plans according to your goals. 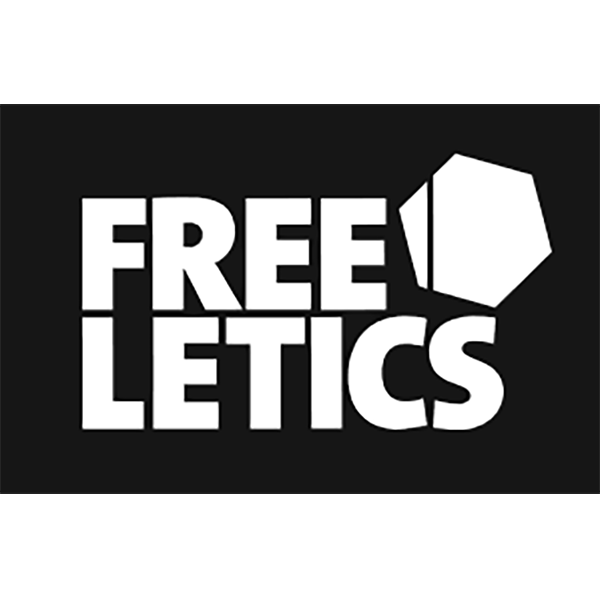 Freeletics also gives you the option to focus on specific body parts with quick, one-off exercises, search for training complexes, and even running (if you download the Freeletics Running app, which is included in your Freeletics coach subscription) You can try a couple of these to see how you like the format before purchasing a plan. You’ll find a video demonstration with an instructor, timer, and a guiding audio-only voice to let you know how much time is left. After each workout or single exercise, you’re asked to rate how accurate you felt your form was and add any notes to reference later. 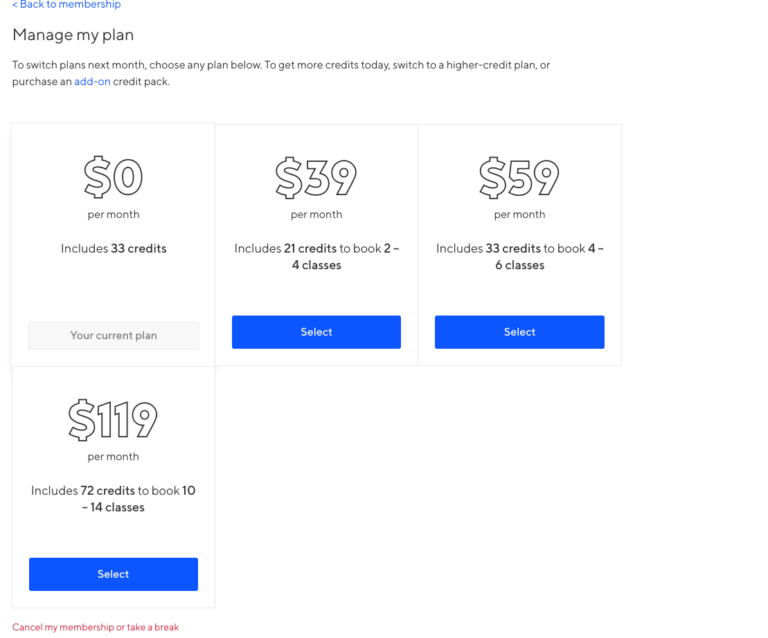 To use the coach and nutrition plans, you will have to make a payment selection initially — but Freeletics is pretty affordable, considering the lowest tier totals around $30 for three months. 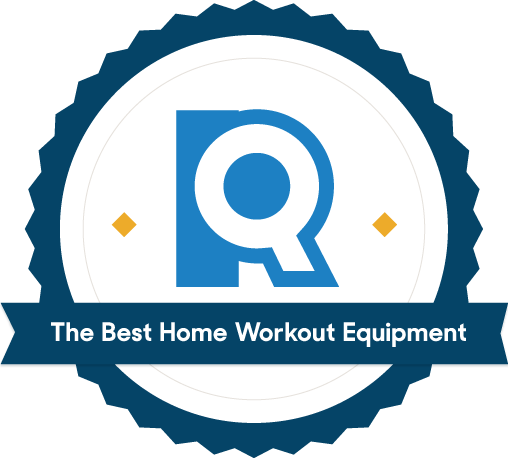 Exercising from home is easier when you have the right equipment on hand, so we’ve curated a list of basics that will allow you to work out on your own time and in your own space. Whether you want to lift weights, rest in child’s pose, or run uphill sprints in your basement, we’ve got you covered. Helpful alignment markings and a no-slip surface give this mat the Reviews.com stamp of approval. From crunches and push-ups, to child’s pose and downward dog — having a yoga mat in your home gym is a must. Our team tested and loved this one: While it is on the pricier side, it gives you ample room to do your workouts. At 73” x 27”, it’s about five inches longer than a typical yoga mat, so you won’t have to worry about resting your head or gripping your toes on the hardwood floor. 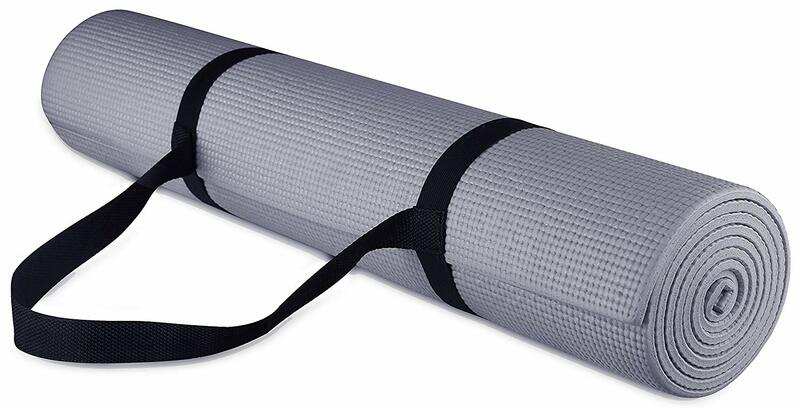 An affordable, no-frills yoga mat. 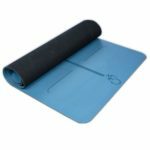 If you’re looking for something more affordable, this BalanceFrom Go Yoga mat is highly rated and comes with a strap that makes it easy to transport to and from class — or your living room. 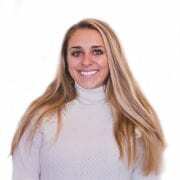 If you’re looking for free at-home yoga workouts, check out Yoga With Adriene. Recommended by several media outlets, this channel has 4 million subscribers and is great for beginners. These offer a good range of weight varieties and easy-to-grip material. Several of the workout apps we recommend call for dumbbells — they’re good for building strength and adding intensity to your workouts. 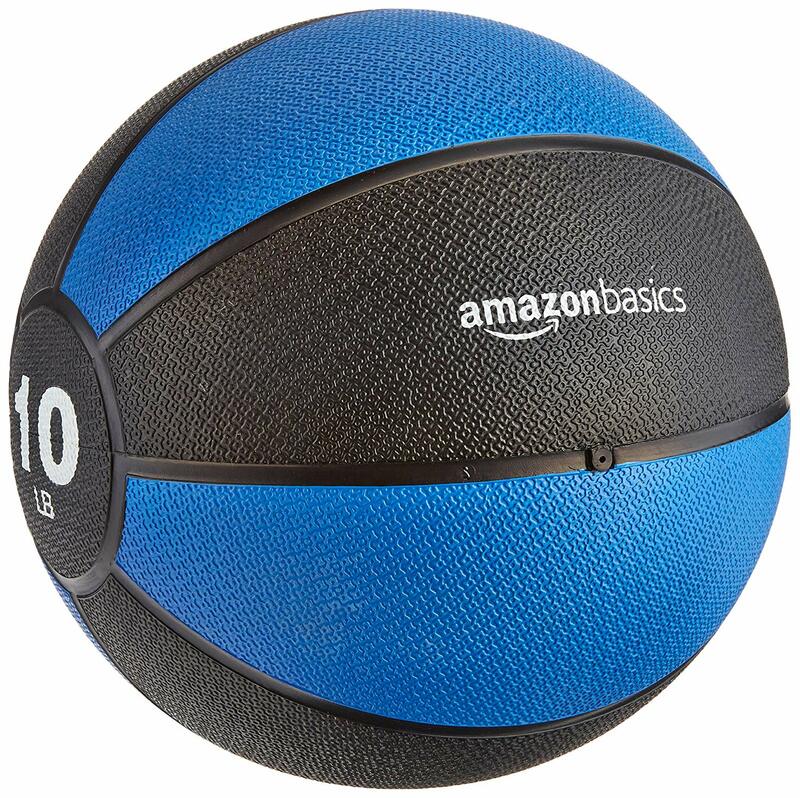 These AmazonBasics are simple and relatively affordable. 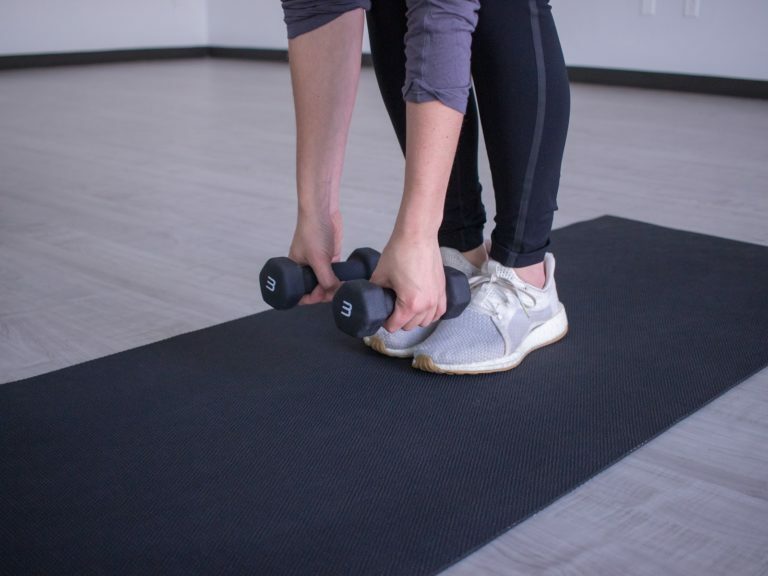 Buy the sizes you feel most comfortable using and add heavier weights over time — don’t feel pressured to purchase the 35 pound weights, especially if you’re not used to exercising with weights. 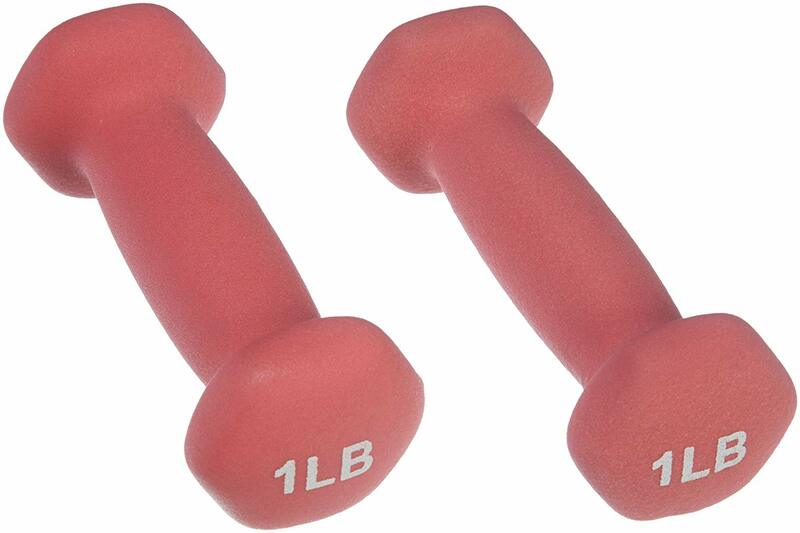 An all-in-one dumbbell set that lets you add or remove weight within seconds. 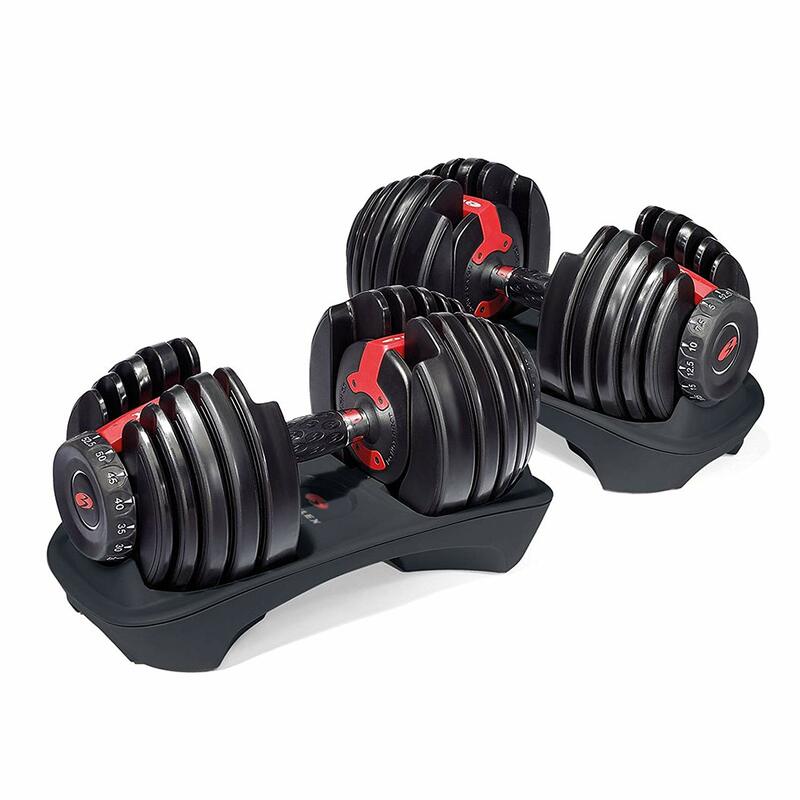 If you’re looking for a heavier dumbbell set that doesn’t require as much storage space, these Bowflex SelectTech 552 Adjustable Dumbbells are a tad pricier but are compact and adjust from five to 52.5 pounds. Good for boosting upper body strength. Medicine balls can be a great addition to make abdominal exercises tougher, but there are endless ways you can incorporate these into your workouts. We like the simplicity, size ranges, and prices of these AmazonBasics. Five different intensity levels fit for strengthening and stretching alike. With 4.2 out of five stars and almost 8,500 reviews on Amazon, it’s safe to say people like these resistance bands. These are good for isolated strengthening exercises — like glute bridges and squats — and they can also help you stretch. 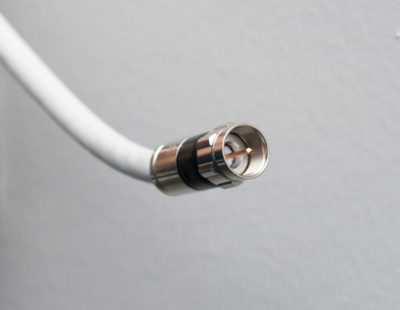 We’ve tried these, and we’ll admit, the heaviest resistance doesn’t feel quite as heavy as it should after a few months of use. 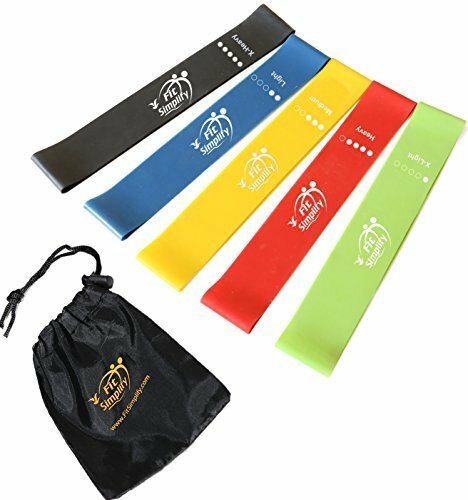 Overall, though, if you want a quick and affordable way to add resistance bands to your exercises, these will get the job done. Take this full-body workout anywhere. Strap these to your door and use only your body weight to complete a workout. Almost 80% of 800 Amazon reviewers give these TRX suspension trainers five stars, with some claiming they’ve found no need to grace the doors of a gym after purchasing. 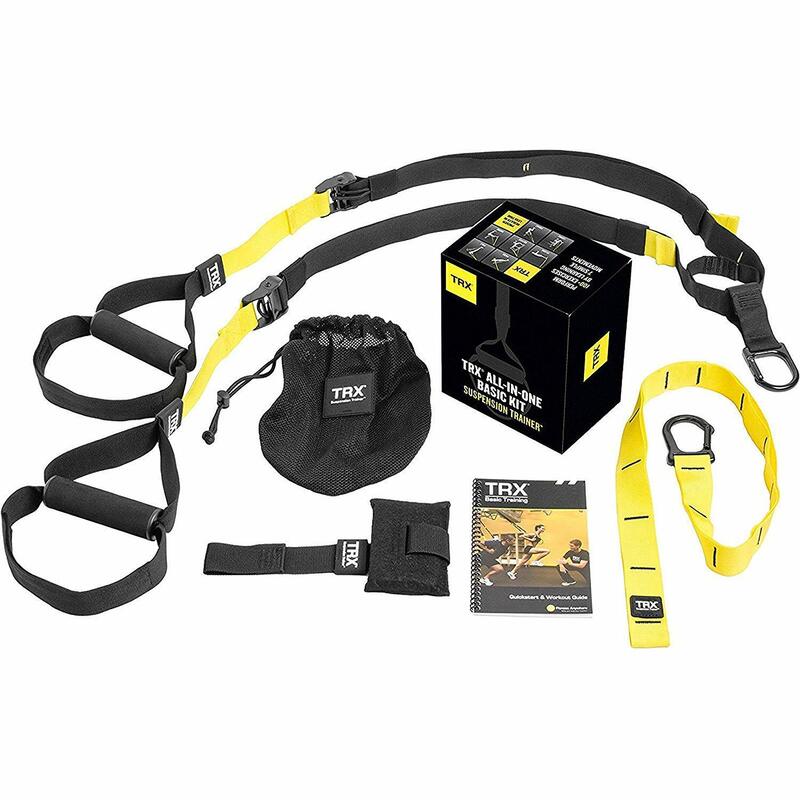 They do come with a set of written instructions, but if you’re still confused about how to use these straps or where to start, the TRX app has video instructions on how to set up your system as well as different exercises to try. A more affordable resistance trainer built to help you exercise anywhere. 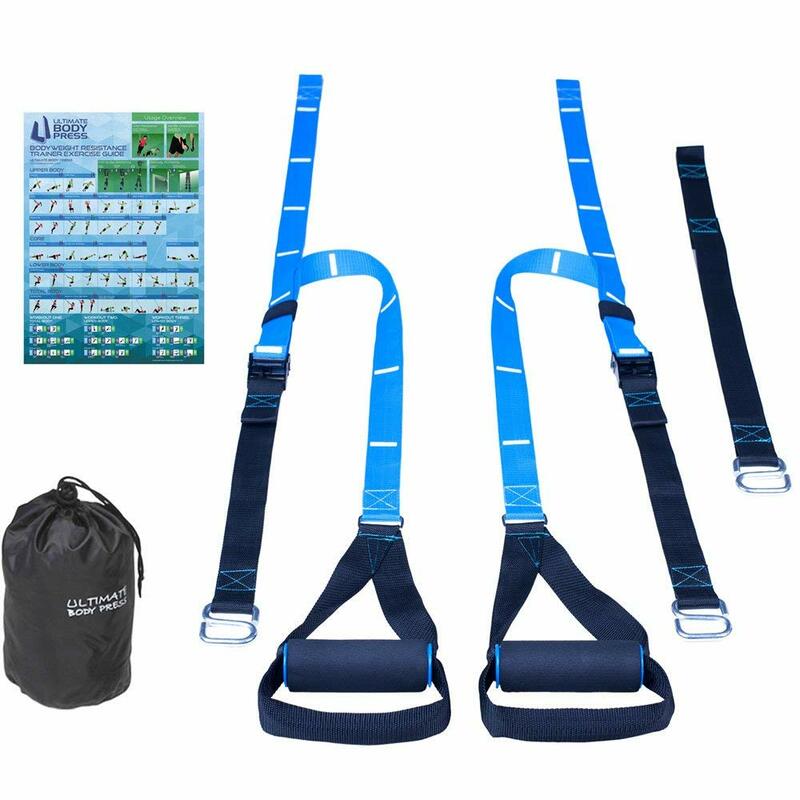 While you won’t be getting the brand name or corresponding mobile app help, this Ultimate Body Press Bodyweight Resistance Trainer is about half the price of our TRX pick and also has impressive ratings on Amazon. Add a little extra weight to your squats. 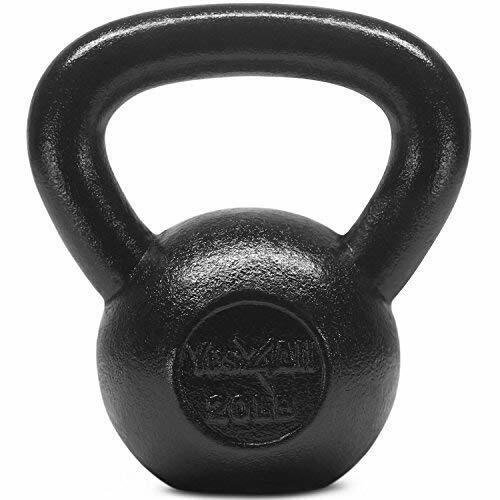 We like the weight varieties and simplicity of these kettlebells — and users seem to agree,, with over 80% five-star reviews out of 1,200 on Amazon. While similar to dumbbells, kettlebells can be used for different ranges of motion, especially for swinging. Add a few extra inches to your cardio or strength training routine. 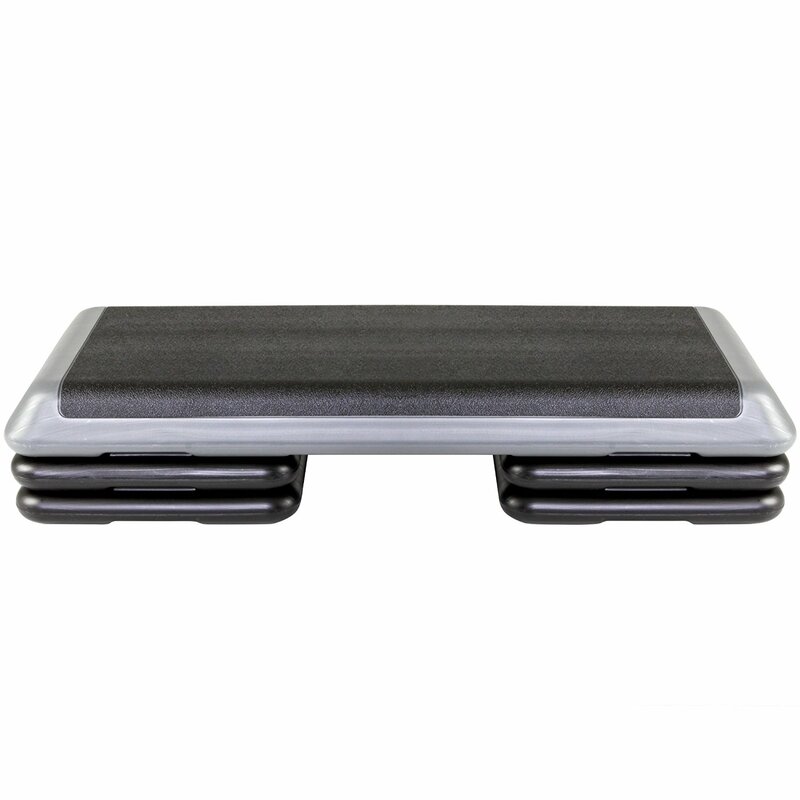 A step platform can be helpful in getting that heart rate up during HIIT, cardio, or strength training exercises. With 4.7 out of five stars from over 900 reviews on Amazon, it’s safe to say people like this platform, and several reviewers have commented on its sturdiness. With a safe plastic material and insulation, this is our top pick for working out. This isn’t a piece of “equipment,” but staying hydrated during a workout is important. 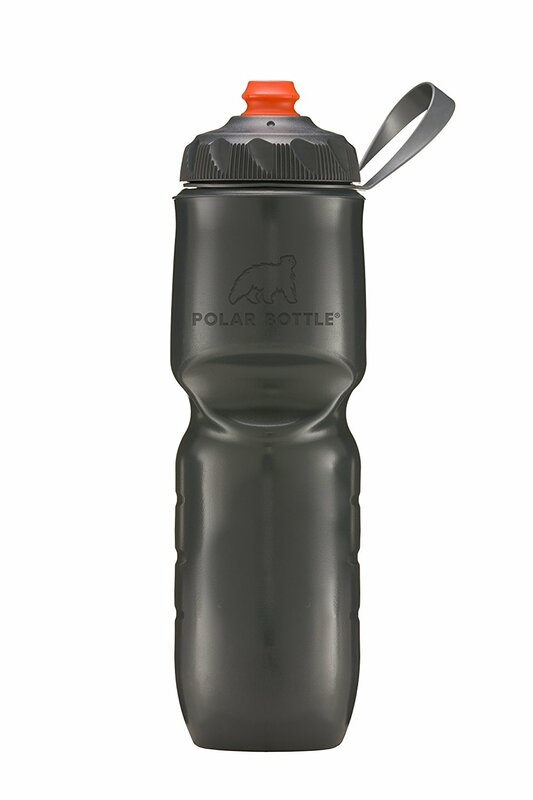 We tested 0-and approve of this Polar Bottle for keeping your water ice cold. Nobody wants to spend hundreds of dollars on a machine without knowing whether it works. Don’t worry — we already did the testing for you. 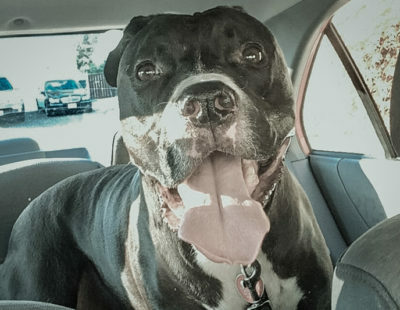 This model is expert-approved for its smooth riding and durability. 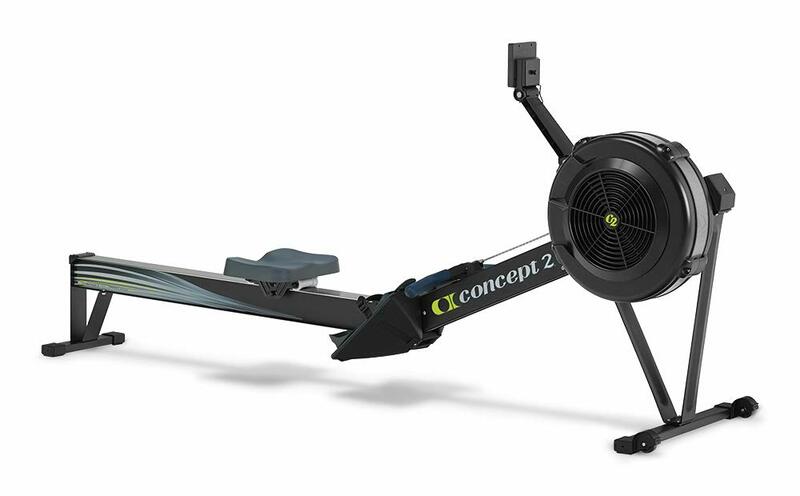 Our team found this rower to offer a consistently smooth ride, and its easily adjustable foot positioning shaves wasted time off your exercise. Supportive and spacious without taking up too much space in your home. If you’ve ever used a treadmill at the gym and tried to do a quick sprint, you might have noticed how shaky the machine gets. 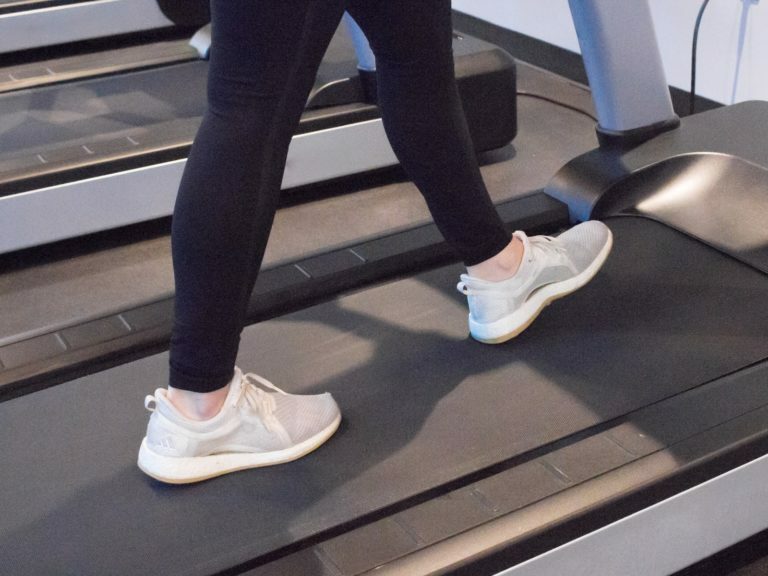 That’s not the case with our at-home treadmill pick for walking — choose whatever pace you feel without worrying about losing your footing. A classic design for a simple, smooth ride. 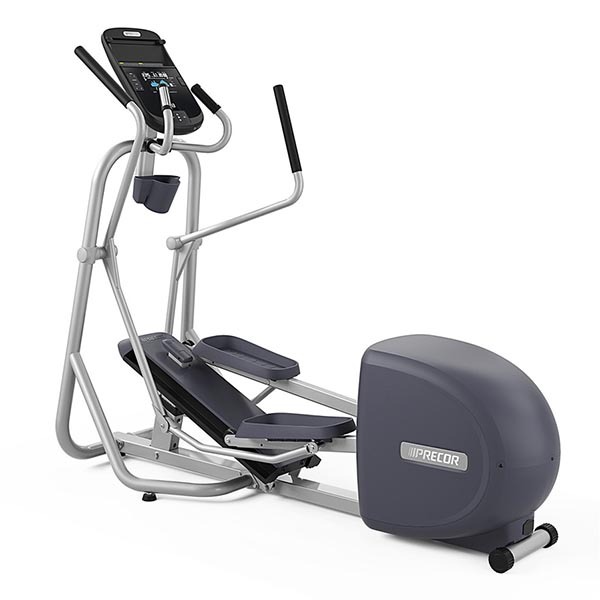 This isn’t the cheapest piece of equipment on the market, but if you’re looking for a silent, streamlined elliptical, this is your best bet. 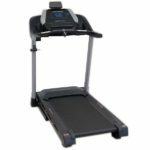 We think this machine’s thoughtful design takes the awkwardness out of swinging your arms back and forth like some other competitors, and it’s simple enough to let you focus on the basics of your workout: heart rate zones, calories burned, and distance. 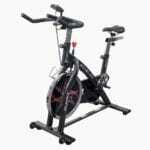 This competitively-priced exercise bike is sturdy and compact — perfect for your living room or basement. Our team says this bike is small enough to fit inside an apartment, yet powerful enough to give you the sweat you’re looking for.